The World Ends with You (game, 2007). An action role-playing video game by Square Enix. Developed by Square Enix, h.a.n.d. (Mobile and Switch ports), Jupiter Corporation. Official Trailer. The World Ends with You is an action role-playing video game by Square Enix, developed by h.a.n.d. (Mobile and Switch ports), Jupiter Corporation and Square Enix. 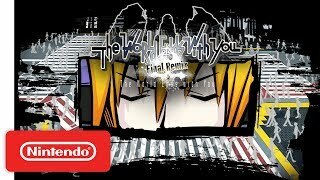 The World Ends with You: Final Remix - Teaser Trailer - Nintendo Switch. The game takes place in a fictional version of the Shibuya shopping district in Tokyo, Japan. While everyday life goes on in the Realground (RG), the chosen dead are brought to an alternate plane of existence called the Underground (UG). The UG is also the venue for the Reapers' Game. By offering their most treasured possession to enter the Game, the dead gain the chance to contest for the prize: to be brought back to life or to transcend to a higher form of spiritual existence. Most of those who choose to transcend become Reapers, the opponents of players in future Games. Lasting a week, each Game is a contest to judge the worth of humanity. Players set out to accomplish objectives under the rules created by the Composer, who is a god-like entity who maintains Shibuya. Another Reaper, the Conductor, tasks other Reapers to obstruct the players' efforts. Failure to complete a mission will disperse the mind and spirit of the player or Reaper, thus erasing his or her existence. A player in the UG is invisible to the living in the RG, though one can sometimes read and influence their thoughts. The UG is frequented by creatures called "Noise", which are attracted by the negative feelings of the living. To progress in the Reapers' Game, players are often required to defeat Noise by killing or "erasing" them. However, each Noise exists in two parallel universes (or "zones") simultaneously, and can only be defeated by two players simultaneously fighting and defeating the Noise from these separate zones. In order to do this, Players are required to form a pact with another Player to survive the Noise. Players receive assignments via text messages sent to their cell phones, and their right hands are imprinted with a countdown indicating the time left in the mission. After a day's mission is complete, the remaining players find themselves at the start of the next day's mission, having no sense of the time that has passed in between. 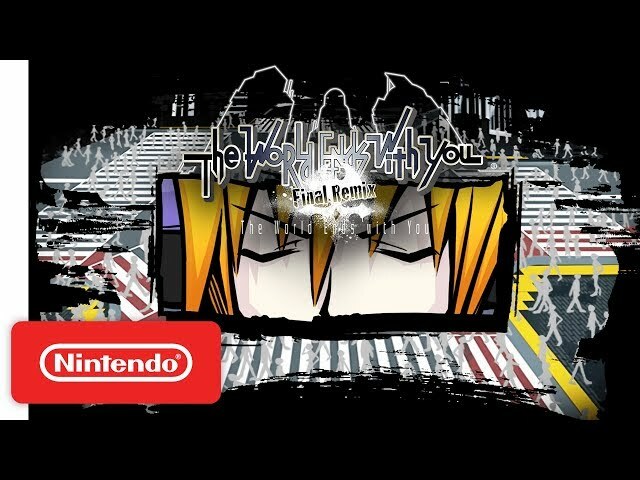 The World Ends with You was scheduled to be released by Square Enix on July 26, 2007 (Japan), on July 27, 2007, on April 18, 2008 (European Union, Russia, Europe), on April 22, 2008 (North America), on April 24, 2008 (Australia), on August 27, 2012 (worldwide), on June 26, 2014, on September 27, 2018 and on October 12, 2018. This video game is available for the following platforms: Nintendo DS, iOS, Android, Nintendo Switch. The game had received PEGI 12 rating.